In 1991, a pair of German tourists hiking in the Dolomite Alps spotted something very strange: the remains of a man protruding from the ice of a receding glacier. They contacted authorities, suspecting it was the body of a recently deceased hiker. They had no idea the body they discovered was older than the pyramids and would become an international sensation. Numerous artifacts were found with the body, including several articles of clothing, weapons, and tools; among them a rare copper axe. Analysis determined the copper came from Tuscany. He was also in possession of the oldest medicinal kit ever discovered. We read about Ötzi, The Iceman, back in the nineties, and have casually followed his fascinating story ever since. The 5300 year-old remains have been studied extensively. DNA has been analyzed; thirteen living relatives have been identified. 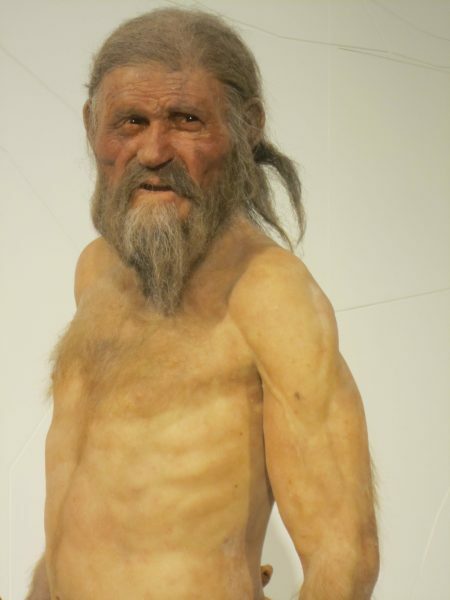 The contents of Ötzi’s stomach revealed his last meals – ibex, wild goat and grains, eaten only two hours before his death at the age of forty-five. It was originally thought Ötzi died during a winter storm while crossing the Alps, but more recent forensic analysis has proven he was murdered. CT scans revealed an arrowhead lodged in his left shoulder that likely severed an artery. He has cuts and bruises on his hands and wrists, one of them down to the bone at the base of his thumb. There is also evidence of a blow to the back of Ötzi’s head. 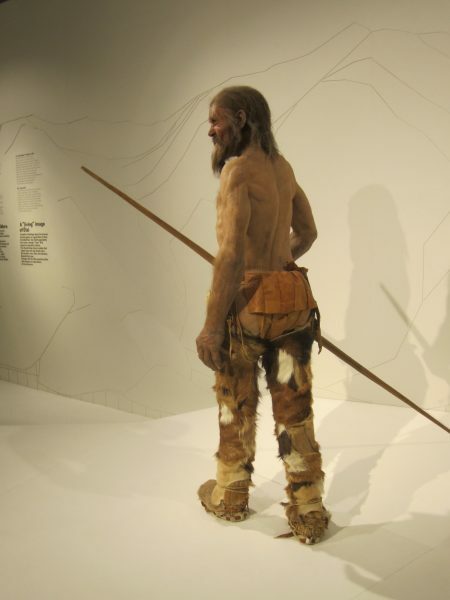 The Archeological Museum in Bolzano, Italy is almost completely devoted to Ötzi and his artifacts. You can even view him in his climate-controlled chamber. 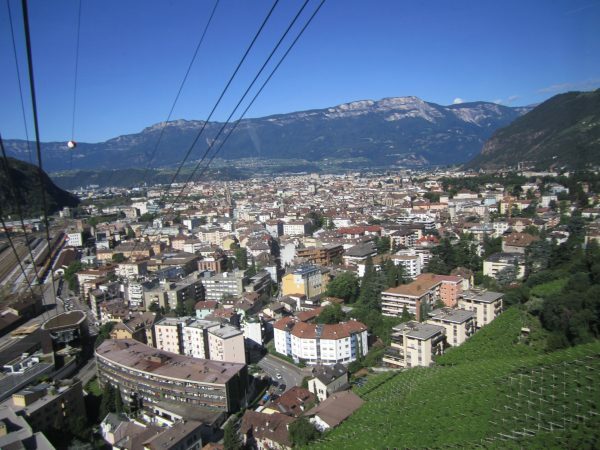 If you’d like the chance to study Ötzi up close, we invite you to join us in Bolzano, Italy from June 2-9, 2019. A view of Bolzano from the Renon Cable Car.